The title of Bon Jovi's 2013 single, 'Because We Can' says everything about a group that has been the rock band of choice for so many since they burst onto the scene with their album, 'Slippery When Wet' in 1986. Now into their fourth decade they are playing as well as ever, having honed their hook-writing to perfection. After four American chart topping albums and another seven that have made the top 10 they now sit at rock's top table. Formed in New York they recorded the eponymous debut album in 1983, releasing it in early 1984 and followed it with '7800 Fahrenheit' a year later. Both albums made the Billboard Top 50 but it was 'Slippery When Wet' that changed everything. Coming out in 1986 it hurtled up the charts to No.1 where it stayed for two months, helped in no small way by 'You Give Love A Bad Name' and the exultant 'Living on a Prayer' which both topped the American singles chart. In 1988 'Bad Medicine' topped the singles chart helping the album, 'New Jersey' from which it was taken to also make No.1; the third single from the album, 'I'll Be There For You' also went to No.1 in America. In 1990 'Blaze of Glory' from the movie Young Guns, which was a Jon Bon Jovi solo project also topped the US charts. In the UK the band have had over forty hit singles and although they have never topped the charts almost twenty have made the top 10. Their albums however, have topped the UK charts with 'New Jersey', 'Keep The Faith', 'These Days' and 'Crush' all making No.1. 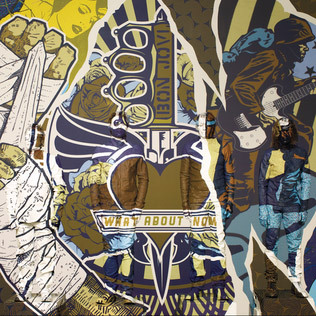 With the new album that is called 'What About Now' in March 2013 Bon Jovi continue to cut it, having the kind of success that few can match. After ushering in the era of pop-metal with their 1986 blockbuster Slippery When Wet and its hit singles "You Give Love a Bad Name," "Wanted Dead or Alive," and "Living on a Prayer," Bon Jovi wound up transcending the big-haired '80s, withstanding changes in style and sound to become one of the biggest American rock bands of their time, selling over 120 million albums worldwide, and sustaining their popularity well into the new millennium. As the times changed, so did the band's sound. They slowly peeled away the arena rock guitars of the '80s, occasionally scoring on the adult contemporary charts and sometimes singing country music without ever rejecting hard rock, a move that illustrated how they never abandoned their roots and became second only to Bruce Springsteen in defining the sound and spirit of New Jersey rock & roll. Bon Jovi took their name from lead singer Jon Bon Jovi (born Jon Bongiovi), who spent his adolescence playing in local Jersey bands with David Bryan (born David Rashbaum). Jon's cousin, Tony Bongiovi, owned the celebrated New York recording studio the Power Station and Jon spent many hours there, working as a janitor and recording demos after hours, sometimes supported by members of the E Street Band or Aldo Nova. 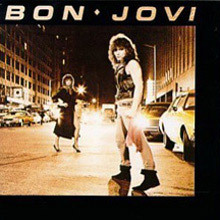 One of those demos, "Runaway," became a hit on local New Jersey radio and lead to the formation of Bon Jovi the band, as Jon and Bryan were supported by guitarist Dave Sabo, bassist Alec John Such, and drummer Tico Torres. "Runaway" spurred a major-label bidding war leading to a contract with Polygram/Mercury in 1983. Before the group entered the studio, though, Bon Jovi replaced Sabo with Richie Sambora, a working guitarist with a long rÃ©sumÃ© including a stint as a member of Message. Bon Jovi released their eponymous debut album in 1984, generating a Top 40 hit with the original version of "Runaway." The following year, 7800° Fahrenheit was released and went gold, all serving as a prelude to the band's 1986 breakthrough, Slippery When Wet. Paul Stanley had given Jon and Richie the phone number of professional songwriter Desmond Child, and together they wrote two of the album's biggest hits in Richie's parents' basement. The trio composed 30 songs in total and auditioned them for local New Jersey and New York teenagers, basing the album's running order on their opinions. Supported by several appealing, straightforward videos that received heavy rotation on MTV, the record took off on the strength of "You Give Love a Bad Name," followed quickly by "Livin' on a Prayer" and "Wanted Dead or Alive." Those three Top Ten Hits helped propel Slippery When Wet to sales of nine million in the U.S. alone, establishing Bon Jovi as superstars in their home country. Their fame was not limited to the U.S., though, as the album also turned into a significant hit in Europe, Canada, Japan, and Australia. The following year, Bon Jovi reunited to record their fifth album, Keep the Faith, which was released in the autumn of 1992. While the album didn't match the blockbuster status of its predecessors, it did produce a hit with "Bed of Roses," an adult contemporary-styled ballad that helped sustain the band's popularity. A greatest-hits album called Cross Road appeared in 1994 and yielded another Top Ten ballad, "Always." Around the same time, bassist Alec John Such left the band; Hugh McDonald, who appeared on Bon Jovi recordings stretching back as far as "Runaway," became his unofficial replacement and featured prominently on the band's next album. Released in autumn 1995, These Days turned into another U.S. Top Ten, as well as a popular European hit. After appearing in the 1996 film Moonlight and Valentino, Jon Bon Jovi released his first official solo album, Destination Anywhere, in the summer of 1997. During the tail end of the '90s, the members of Bon Jovi engaged in different projects -- Sambora released a sophomore solo set called Undiscovered Soul in 1998 -- before easing back into work in 1999 via a song for EdTV, then beginning work on a full-length record. The resulting album, Crush, appeared in 2000 and constituted something of a comeback in America thanks to the smash single "It's My Life," a cross-platform hit single with long legs. "Thank You for Loving Me" also turned into a hit, helping Crush go double platinum in the U.S. and selling eight million copies worldwide. 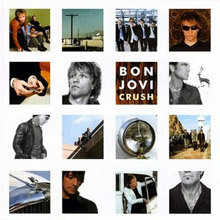 Bon Jovi quickly followed Crush with their eighth studio effort, Bounce, which appeared in autumn 2002, and supported the record with another international tour. In 2003, the band re-recorded many of its most well-known songs for the acoustic-based release This Left Feels Right, which also saw an accompanying DVD in 2004. The ambitious outtakes and rarities box set 100,000,000 Bon Jovi Fans Can't Be Wrong arrived later that November, followed by the all-new Have a Nice Day -- the first of several albums produced by John Shanks. That album's success was aided in part by the single "Who Says You Can't Go Home," featuring guest vocals from Sugarland's Jennifer Nettles, which eventually won the Grammy Award for Best Country Collaboration with Vocals -- as well as topping the charts in Japan, Australia, Europe, and Canada. The band spent the following year in the studio, putting the finishing touches on a collection of pop-infused heartland country anthems. The resulting Lost Highway, which featured duets with LeAnn Rimes and Big & Rich, arrived in the summer of 2007 and grabbed the band a healthy new country music fan base in the process. 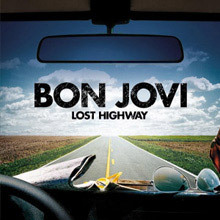 Lost Highway's cross-genre formula proved to be quite potent, securing the band its third number one album in the U.S. Bon Jovi returned to rock shortly thereafter, though, with the release of the somber, searching The Circle in 2009. One year later, Greatest Hits: The Ultimate Collection offered plenty of hits along with two new tracks, "No Apologies" and "What Do You Got?" Bringing things bang up to date is the band's 12th studio album. What About Now is produced by John Shanks, who also worked with the boy-band, now man-band, Take That and was released in March 2013. It debuted at No.1 in the U.S. and is the fifth of their career to make No.1 in America. From the opening track, "Runaway," which rode to glory on E Street Band-mate Roy Bittan's distinctive keyboard riff, to the sweaty arena rock of "Get Ready," which closed the album, Bon Jovi's debut is an often-overlooked minor gem from the early days of hair metal. The songs may be simple and the writing prone to all cliches of the form, but the album boasts a pretty consistent hard rock attack, passionate playing, and a keen sense of melody. The prominence that keyboardist David Bryan (credited as David Rashbaum in the liner notes) gets on this record is an indicator, perhaps, that Bon Jovi had more than a passing interest in the pop market, which was then dominated by new wave and synth pop. 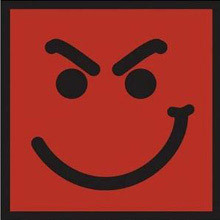 Mixing Journey-like '70s rock ("She Don't Know Me") with shout-along stadium anthems ("Love Lies"), the self-titled Bon Jovi lay the foundation for the band's career, which reached its apex several years later with that very same combination of pop melody and arena-sized amibiton. Slippery When Wet wasn't just a breakthrough album for Bon Jovi; it was a breakthrough for hair metal in general, marking the point where the genre officially entered the mainstream. Released in 1986, it presented a streamlined combination of pop, hard rock, and metal that appealed to everyone -- especially girls, whom traditional heavy metal often ignored. 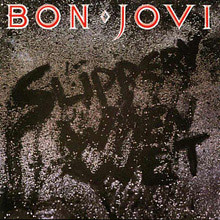 Slippery When Wet was more indebted to pop than metal, though, and the band made no attempt to hide its commercial ambition, even hiring an outside songwriter to co-write two of the album's biggest singles. The trick paid off as Slippery When Wet became the best-selling album of 1987, beating out contenders like Appetite for Destruction, The Joshua Tree, and Michael Jackson's Bad. Bon Jovi had perfected a formula for hard pop/rock by the time of New Jersey, concentrating on singalong choruses sung over and over again, frequently by a rough, extensively overdubbed chorus, producing an effect not unlike what these songs sounded like in the arenas and stadiums where they were most often heard. The lyrics had that typical pop twist -- although they nominally expressed romantic commitment, sentiments such as "Lay Your Hands on Me" and "I'll Be There for You" worked equally well as a means for the band and its audience to reaffirm their affection for each other. The only thing that marred the perfection of this communion was Jon Bon Jovi's continuing obsession with a certain predecessor from his home state; at times, he seemed to be trying to recreate Born to Run using cheaper materials. 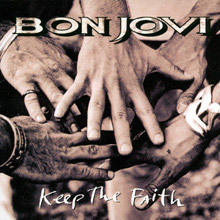 Keep the Faith reintroduced Bon Jovi after almost four years of side projects and hiatuses. The musical climate had shifted considerably in that time, a fact that wasn't lost on the band. Faith blatantly brought to the surface the Bruce Springsteen influence that was always lurking in Bon Jovi's sound, and used it to frame Faith's more serious interpretation of the band's pop-metal groove. "I Believe" and "I'll Sleep When I'm Dead" both amped up the blue-collar, gospel revivalist feel of Springsteen's "Tunnel of Love," dropping in triumphant power chord changes to ensure arena readiness. But Bon Jovi also took a page from Springsteen's Big Book of Epic Songwriting, padding Faith's center with ambitious balladry and a nearly ten-minute story-song, "Dry County," that wouldn't be out of place on a '70s rock album. Elsewhere, the hit single "Bed of Roses" wisely aimed for the verdant adult contemporary pastures pointed to by Bryan Adams with 1991's "(Everything I Do) I Do It for You," instead of gripping stupidly to the Aqua-Netted mane of glam rock power balladry. Some of the album's straightforward hard rock songs faltered, since they didn't sizzle like the band's vintage material and fell flat next to more inspired material like "In These Arms." But while miles of open highway separated the songwriting of Jon Bon Jovi and his mates from that of Springsteen, Keep the Faith deserves plenty of points for ambition, and it did succeed in updating the band's sound. With These Days, Bon Jovi firmly established themselves as an adult contemporary act. They still have their fair share of rockers, but they seem half-hearted and incomplete. Instead, the band sounds the most comfortable with love ballads and working class anthems, from hits "This Ain't a Love Song" and "Lie to Me," to the acoustic "Diamond Ring." In fact, as the years go by, Bon Jovi gets musically stronger. Not only are their best songs stronger now, their playing is more accomplished. Keeping these improvements in mind, it's no surprise that the group was one of the few pop-metal bands to sustain a career in the mid-'90s. Bon Jovi's seventh studio album, their first for five years, was released in June 2000. Produced by Luke Ebbin, Jon Bon Jovi and Richie Sambora it made No.1 in many countries around the world, including the UK, but not in their home country. Nominated for Best Rock Album at the 2001 Grammy Awards it spawned three singles ‘It's My Life’, ‘Say It Isn't So ‘' and ‘Thank You For Loving Me’, as well as a new, updated version of ‘One Wild Night’ released a year later with the live album One Wild Night Live 1985–2001. ‘It's My Life’ made No.3 in the UK. 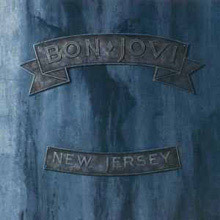 Recorded at Sanctuary II Studio in New Jersey this was their eighth studio album, released in October, 2002, and was produced by Luke Ebbin, Jon Bon Jovi and Richie Sambora. It was recorded under the influence of the September 11, 2001 terrorist attacks and took it’s title from New York City's and the United States' ability to bounce back from the World Trade Center attacks. It debuted at No.2 on the Billboard 200, making it Bon Jovi's highest debut in the band's history at that time; it also made No.2 in the UK. 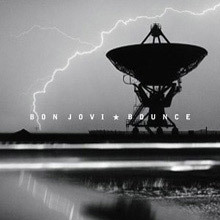 Have a Nice Day, Bon Jovi's ninth studio album of original material, picks up where 2002's Bounce left off, showcasing a harder, heavier band than either 2000's Crush or Jon Bon Jovi's 1997 solo effort, Destination Anywhere. Not only that, but this 2005 album finds Jon Bon Jovi picking up on the serious undercurrent of Bounce, writing a series of angry, somber neo-protest songs that form the heart of this record. While he's not exactly explicitly political here, there's little question that he's dissatisfied with the world today, whether it's about life in small town America or the sorry state of pop music; he even goes so far to write a variation on Bob Dylan's classic "Chimes of Freedom" with "Bells of Freedom." Since he's stretching out lyrically, the band finds a comfort zone in sticking in the tried-and-true arena rock that's been their signature sound for 20 years now. While they sound appropriately grand and powerful -- this is one of the few groups that sounds right at home in large venues -- at times they pump up their choruses a little bit too much, so they sound strident, not anthemic. 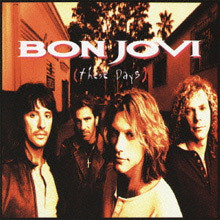 The tenth studio album by Bon Jovi was produced by John Shanks (Take That’s producer) and Dann Huff and was recorded at Black Bird Studios, Nashville and NGR Recording, Hollywood. It fuses the band's rock sound with country music following the success of a country version of the band's 2006 single ‘Who Says You Can't Go Home’, a duet with Jennifer Nettles, which reached No. 1 on the U.S. country chart in May 2006. There are two songs on the album produced in collaboration with other artists, namely "We Got It Going On" featuring Big &amp; Rich and "Till We Ain't Strangers Anymore" featuring LeAnn Rimes. Described by Jon Bon Jovi as a "Bon Jovi album influenced by Nashville", the album debuted at No. 1 on the Billboard 200, their first to do so. It was nominated for Best Pop Vocal Album at the 2008 Grammy Awards and made No.2 in the UK. Bon Jovi’s twelfth studio album was produced by John Shanks, who also worked with the boy-band, now man-band, Take That. Released in March 2013 it debuted at No.1 in the U.S., where it sold 101,000 copies in its first week. What About Now became their third album in a row to make the top spot and the fifth of their career.